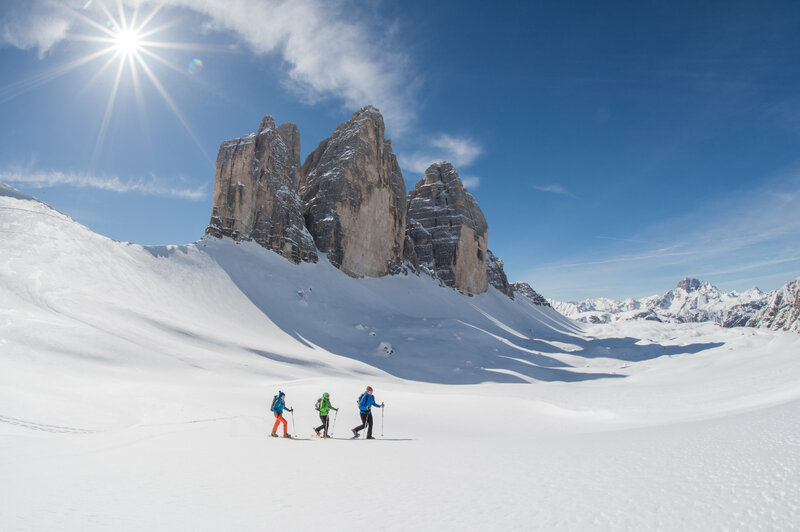 Summer may still be in full swing, but specialist Slow holidays tour operator Inntravel has already turned its mind to winter with the release of their new Snow and Winter Walking programmes. New breaks introduced for 2018/9 include: Inntravel’s first cross-country skiing and winter walking break to the Three Peaks region of the Dolomites; a new hotel in Austria’s Leutasch Valley which, in February 2019, plays host to the World Nordic Ski Championships; two new journeys across Scandinavia; and a three city rail holiday to Andalucia for food and flamenco, sherry and sunshine. Each has all the hallmarks of an Inntravel vacation: characterful accommodation, a focus on local cuisine and detailed notes and maps to help guests get the most from their trip. In 2019, as the Dolomites celebrates 10 years since its designation as a UNESCO World Heritage site, visit the region in winter to see the landscape of jagged peaks and quiet valleys cloaked in snow. On this new vacation, guests stay at Hotel Drei Zinnen in the village of Moso, near the famous Three Peaks Nature Park. Next year (2019) also marks the 150th anniversary of the conquering of Cima Grande – one of the Three Peaks. The charming 4-star hotel, designed by the architect of Salzburg’s Festival Hall, offers just 35 rooms, a stylish spa and alpine feasts to tuck into each evening. While winter walking and cross-country skiing are available from the hotel’s door, Inntravel recommends using the included bus pass to explore the region: heading to Dobbiaco, Italy’s premier cross-country skiing destination or seeing the Alps’ only herd of reindeer. Price: from £1,235pp sharing, including 7 nights’ half-board accommodation, daily afternoon cakes, local bus pass, transfers and return flights from London Heathrow or Gatwick. Available 22 December 2018 to 10 March 2019. 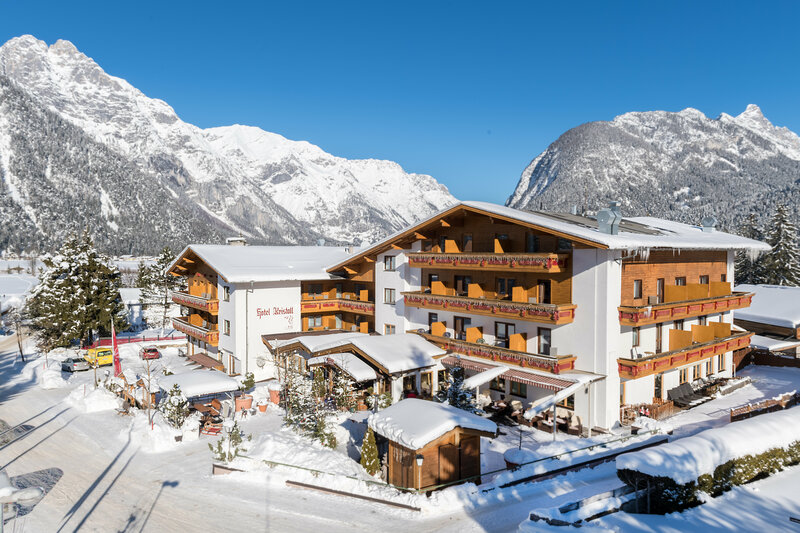 While the region may be hosting the World Nordic Ski Championships in February 2019, Austria’s Leutasch Valley has much to charm guests regardless of skiing ability. Among the villages of frescoed houses and onion-domed churches, stay at the sparkling Hotel Kristall in Weidach with all rooms looking out across the village and mountains beyond. There are beginner-friendly ski trails, just 90 metres from the hotel, heading up and down the valley with a number of eateries at which to pause for coffee and cake. The area is also excellent for winter walking with a beautiful trail exploring Gaistal, one of Austria’s least-visited valleys, and paths to the panoramic peak of Wettersteinhutte (1,717m). Price: from £1,180pp sharing, including 7 nights’ half-board accommodation plus daily light lunches and afternoon tea and cake, transfers, and return flights from London Heathrow or Gatwick. Available 22 December 2018 to 9 March 2019. Get a true sense of the Nordic region’s austere winter beauty, with this new journey visiting a trio of capital cities, each with its own distinct identity, by cruise and by rail. 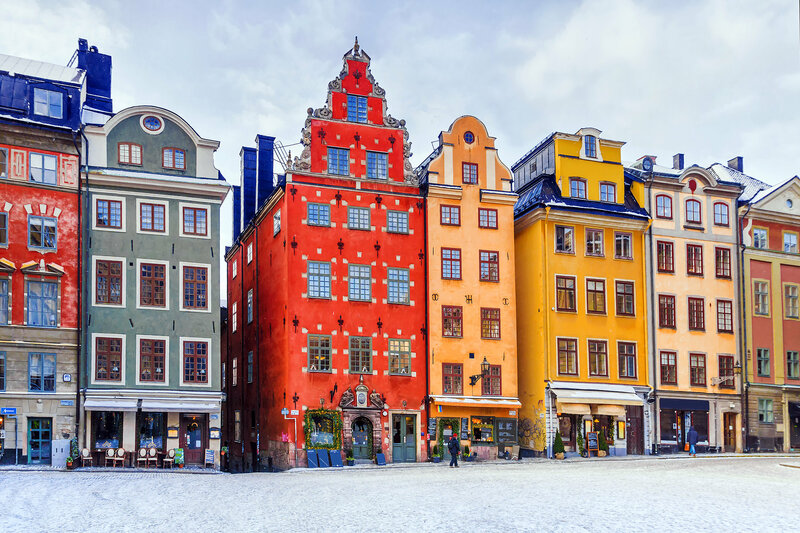 Beginning with two nights in the cool Danish capital of Copenhagen, home to the colorful Nyhavn waterfront and cosy hygge cafés, guests then cross ‘The Bridge’ by rail to continue across Sweden to Stockholm. A further two days are spent in the waterborne city, spread out over 14 islands and with one of Europe’s most exciting food scenes, before an overnight cruise to Helsinki, a city bursting with boutiques, workshops and galleries and saunas – perfect for a chilly winter’s day. Price: from £1,160pp sharing, including 7 nights’ B&B accommodation, rail journeys, cruise to Helsinki and return flights from London Heathrow. Available 8 December 2018 to 24 March 2019. This is an unforgettable winter journey travelling from Norway’s cosmopolitan capital to its beautiful fissured west coast by rail and boat, taking in both Norway’s highest station and the iconic Flåm Railway. After a night in Oslo, with its bustling waterfront, guests board the westbound train to Bergen, climbing through snow-covered fjells and past vast frozen lakes to Finse. Sat on the edge of the Hardangervidda National Park, Finse is home for the next two nights during which guests can try their hand at snow-shoeing or learn more about the area’s role as a training ground for polar explorers. Next is a ride on the world-famous Flåm railway, at its best without the summer crowds, descending 886 metres to the fjordside where guests spend a night, with the chance to visit local cheesemakers and a brewery. The journey to Bergen continues by a hybrid ferry ride down the spectacular Aurlandsfjord, where the engines are cut to gift passengers a moment of silent gliding beneath the towering 1,800m peaks, before boarding the train and spending two nights in Norway’s beautiful second city. Price: from £1,395pp sharing, including 7 nights’ B&B accommodation, 4 dinners, 2 lunches, rail travel, transfers and return flights from London Gatwick. Available 5 January to 7 April 2019. Visit Helsinki, and get two Christmas markets for the price of one, with the option of hopping across the Baltic to visit the markets at Tallinn too. Once overshadowed by its Nordic neighbours, Helsinki is now one of Europe’s most exciting cities, with a distinct style and a cluster of cutting-edge boutiques and galleries. The city is at its best in winter, when it twinkles with festive lights and the 120-stall Christmas market perfumes the air with the smell of glögi. As well as the market, the included city card allows guests to explore Helsinki’s many museums, including the excellent National Museum of Finland that charts the country’s tumultuous history. Guests stay at the wonderful Katajanokka, a characterful converted prison, whose bright rooms bely its earlier use. Price: from £465pp sharing, including 3 nights’ B&B accommodation, city card, and return flights from London Heathrow. Available 1-20 December 2018. This leisurely and superb value exploration of Andalucia by rail takes guests to three of Spain’s most fascinating and beguiling cities. The journey begins in Seville, the lively Andalusian capital, and once the treasury of the Spanish Kings. Explore its winding, whitewashed streets and wonder at the world’s largest Gothic cathedral. After a two-night stay, guests journey onto Jerez, in Spain’s ‘sherry triangle’, to visit its famous bodegas and traditional tabancos, where sherry is dispensed right from the cask. The final stop is the anarchic Cádiz, a jumble of narrow streets almost entirely encircled by the sea, with a spectacular golden domed cathedral and mouth-watering restaurants. Price: from £525pp sharing, including 6 nights’ B&B accommodation, rail travel and transfers. International flights extra. Available 1 September to 24 December 2018 and 2 January to 30 June 2019. NOTE TO EDITORS: Inntravel has a budget for hosting writers. Do contact Julia Spence Public Relations (details below) if you are interested in the above or any other Inntravel vacations.